People always prefer some incentives such as freebies and discounts whenever they buy something. 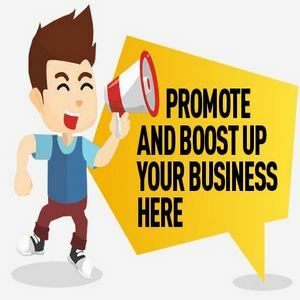 Businesses use this tendency in their advantage by adopting various methods to promote their sales. Offering coupons have become inevitable business tools for any business. Traditionally manufactures and shop owners print coupons in volumes and distribute them through newspapers and magazines whenever a new product is launched or to get new customers. Proliferation of internet has changed all these. This is the age of e-commerce; people can do anything just clicking a button from their homes, from buying grocery to reserving their funeral place. Printable coupons, also often called as “print-at-home-coupons” are online coupons available on internet. They are one of the most used coupon varieties by all sort people very extensively. These coupons can be printed at home or any other places according to their convenience. All they have to do is, visit a website of manufacturer or retailer or products, register their name and other required information, select the type of coupon they need, download a small piece of software called coupon printers, print the coupon there itself in their printer and avail the discount by presenting this printed coupon to the shopkeeper when the goods are purchased. It is child’s play and doesn’t require huge efforts. In some cases after registering the name in the website, the manufacture send the coupons or coupon codes though email and people can print it at home and avail the discount on purchasing the product. Printable internet coupons bear their identifying marks. They may be in black and white of in colors. Any graphic capable printers like LaserJet or Ink Jet printers can be used to print internet coupons. Normally, these coupons printed on A4 size papers and often clipped along with the dotted lines. A typical internet printable coupon contains barcodes such as UPCA or EAN standards just like any other traditional coupons. Printable internet coupons also contain various other details such as offer value, product, pack size, expiry date if any the terms and conditions for redemption. Printable internet coupons are prone to fraud and misuse like any other items. Printing duplicate coupons and mis-redemptions are the most common coupon related frauds. Both consumers and sellers indulge such frauds from time to time. Product manufacturers and sellers have taken several measures to counter such frauds. They have incorporated security features like customer ID numbers, barcodes, and invisible security codes, etc in order to prevent such malpractices. They also put limitation on usages like printing one coupon for one family and validity date, etc. Despite of all these frauds and misuses printable coupons are going to stay for long benefiting both consumers and businesses.